Root Cleaner concentrate eliminates soil borne pests and pathogens, naturally—no respirators, gloves, or suiting up required. While Green Cleaner treats the foliage above ground, Root Cleaner takes care of the problems in the soil and root zone. It treats the issue of pest control in a safe and consumer conscious manner. Best of all, it solves the issue of “immunity” by killing eggs and preventing pests from becoming resistant to it. 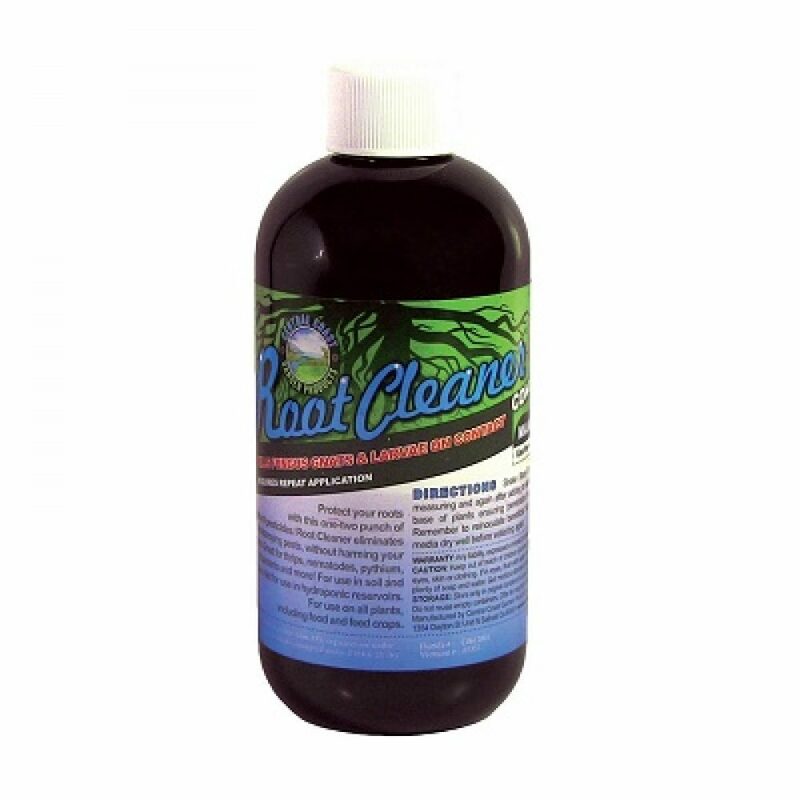 Root Cleaner kills fungus gnats and their larvae, pythium and rhizoctonia, root rot and root damping-off, thrips, nematodes, root aphids, and more. For use in soil and coco. Use from start up to the day of harvest. Safer Insecticidal Soap, 32 oz.